Pressed minerals are great for your face, they contain anti-oxidants which help to give your skin a healthier glow, reduce spots, clear up discolouration, etc. Our pressed minerals are 12 grams and are made in the USA. This pressed mineral foundation is best suited to light ivory or Fair Skin. .. 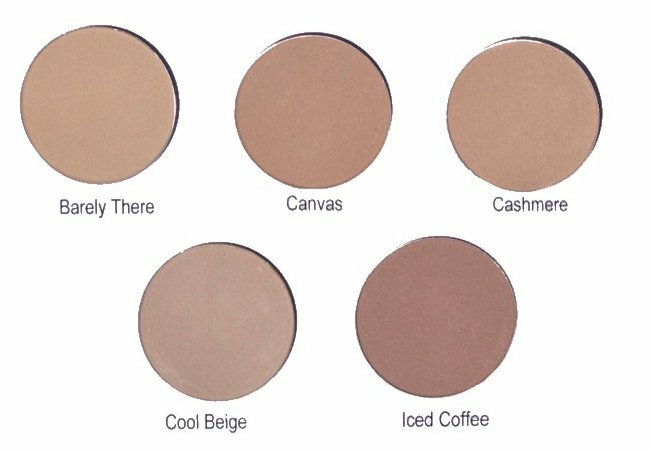 This pressed mineral foundation is best suited to olive/yellow skin tones. .. This pressed mineral foundation is slightly darker than our Barely There Foundation. .. This pressed mineral foundation is slightly darker than our Cool Beige pressed mineral foundation. ..